Jeff Potter, author of Cooking For Geeks — Cambridge, Massachusetts & Los Angeles, California. Awesome Food will join the global network of Awesome Foundations, which recently received a six-figure grant fromKnight Foundation to support its activities. The Awesome Foundation originally started in Boston in 2009 and has since grown to be a worldwide network of people with nearly 20 chapters in cities across the world, including San Francisco, New York City, Ottawa, London, Berlin, Sydney, Zurich, among numerous other places. Projects funded have included a giant hammock in Boston, tram sessions in Melbourne, and a fab lab in Washington DC. In addition, the Awesome Foundation recently established the Institute of Higher Awesome Studies as a non-profit. 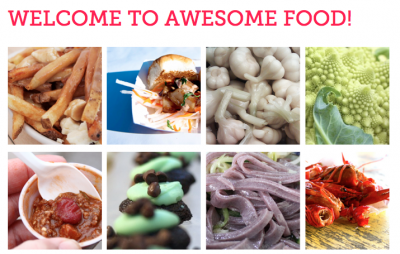 Follow Awesome Food at twitter.com/awesomefood and facebook.com/awesomefood.